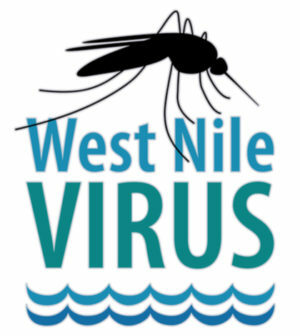 Although West Nile Virus isn’t commanding the headlines it did in years past, the California Department of Public Health and the Mosquito and Vector Control Association of California have reported increased concern over the growing number of cases of the potentially fatal disease. Standing, stagnant water is one of the greatest risks for the spread of the virus as such neglected water sites are the perfect place for mosquitoes to lay eggs and develop into biting, and potentially virus-spreading adults. Mosquitoes in California are responsible for transmitting serious viruses such as West Nile and St. Louis encephalitis to people, which can in turn cause debilitating cases of meningitis, encephalitis, and even death. California were 553 reported human cases resulting in 44 deaths in 2017 alone. This represents the second highest number of deaths in California from the virus in 15 years. More than 6,500 California residents have been infected with West Nile since 2003 and over half of them (58 percent) have developed the neuroinvasive form of the disease. Two invasive mosquito species — Aedes aegypti and Aedes albopictus — have been found in nearly 200 cities in Southern and Central California and are spreading throughout the state. Just five years ago only four cities reported one of the invasive mosquito species. Both invasive species are capable of transmitting viruses that are dangerous to people such as chikungunya, dengue and Zika. Eliminate outdoor trash and containers that might collect water: tires, toys, old cans and bottles, poorly draining flower pots, trashcans and old buckets. Mosquito eggs can stick to the sides of containers and remain attached so empty and scrub containers that might refill at least once a week. Use only window boxes have drainage holes. Clean out clogged gutters: be sure that paths from gutter to ground are clear and properly positioned to prevent water pooling. Corrugated plastic gutter extensions create hidden mosquito habitats. Change the water in birdbaths every few days or install a bubbling pump to keep the water circulating. If you have a surface vent for your septic system or sump pump, or have a rain barrel, be sure to cover the opening with a screen with a mesh small enough to prevent adult mosquitoes from entering. Position awnings, umbrellas, pool covers, barbeque covers and other outdoor fabrics so they don’t collect water; dump the water and wipe the fabric dry if any standing water collects in them. Be sure water fountain pumps are working properly and that water is flowing continuously when the pump is on. When turning off the fountain drain any left-over water and thoroughly dry the fixture. “Mosquitoes can lay their eggs in sources of water as small as a bottle cap, so it is critical that Californians are cognizant of their water use and take steps to diminish mosquito breeding potential,” said Assemblymember Bill Quirk (D-20th District-Hayward) and the author of Resolution HR 100. The resolution called for establishing the week of April 15, 2018 as Mosquito Awareness Week. “All California residents play an important role in protecting public health and this is especially important as threats of mosquito-transmitted diseases continue to rise,” said Assemblymember Quirk.